I am not a baker. I’ve never been precise enough to deep dive into baking but that hasn’t stopped me from enjoying it. I keep all the ingredients I would need on hand to make cookies or a cake at all times and I’ve been known to whip up a lovely cheesecake. 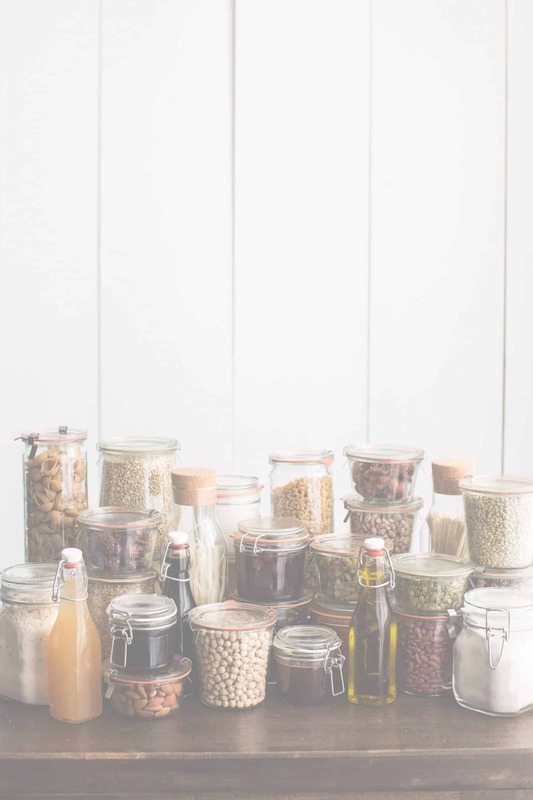 Baking ingredients can be some of the more confusing pantry items as there are many different options. This is a brief overview to get you started with a few more links if you want to dive deeper into a specific item. 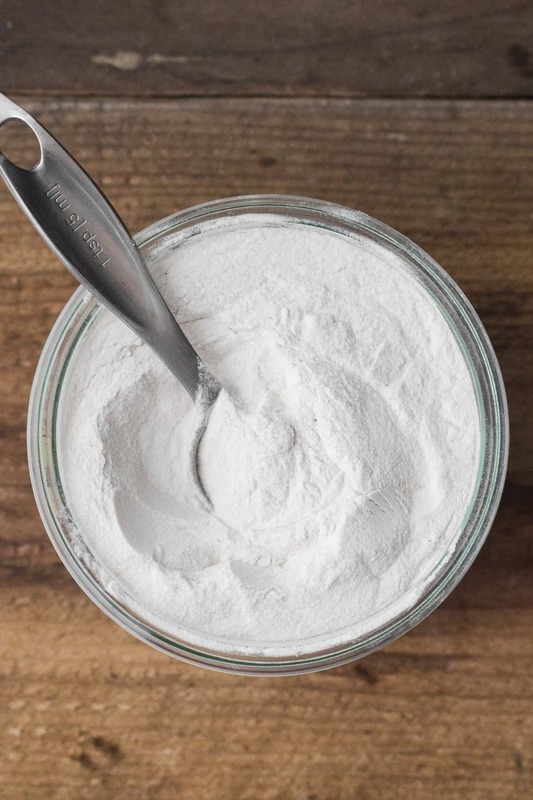 Chances are, you always have baking powder in your cabinet. 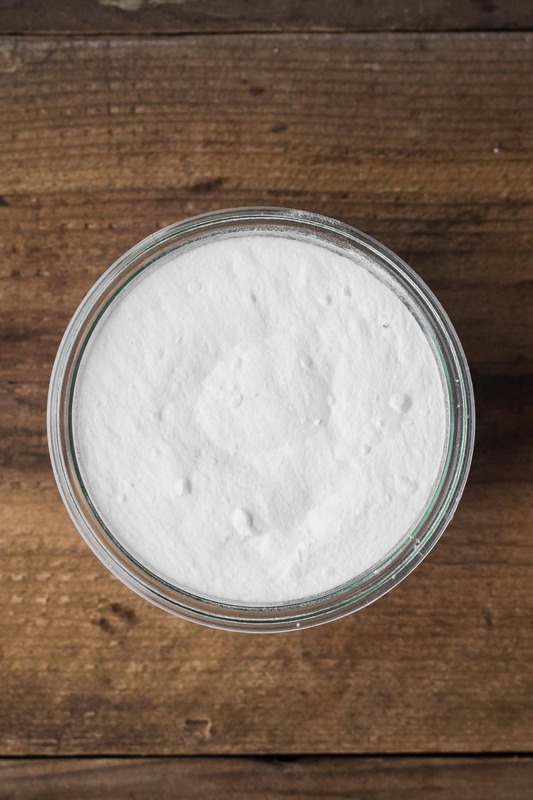 This leavening agent is used in most baked goods to create a raised, light structure. Baking powder can either be single acting or double acting. If single acting, the baking powder process begins when added to the wet ingredients. Double acting baking powder reacts to moisture and react when heated. Look for double acting to get the best lift possible. 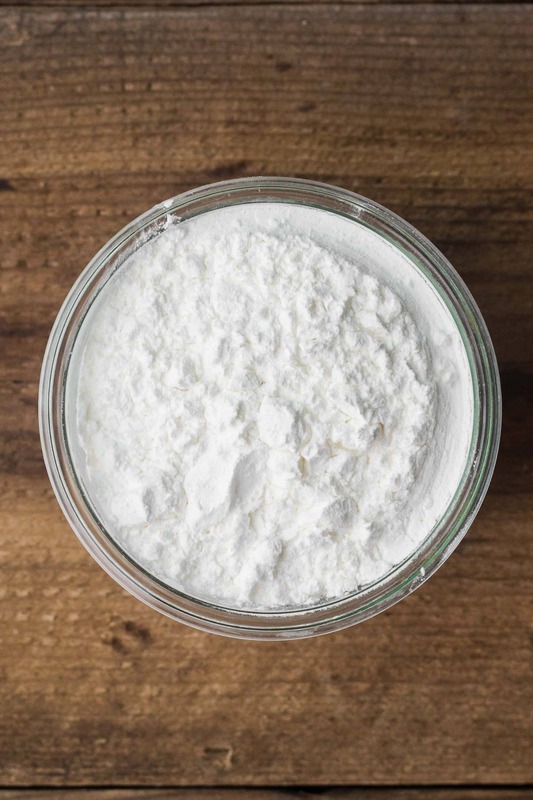 Keep this tip in mind: baking powder creates lift while baking soda helps create spread. While baking powder won’t go bad or spoil, it will lose it’s effectiveness over time. If I haven’t used all the baking powder in a year, I replace it. Look for aluminium-free baking powder as the aluminium can cause a slight metallic taste in your baked goods. A partner to baking powder, baking soda is also a leavening agent that is triggered with the introduction of acid like vinegar or citrus. Baking soda is often the base for making baking powder (which can be done at home in a pinch). Baking soda has many uses outside of cooking but I like to keep a small stash just for cooking that I replace after about a year, along with the baking powder. Look for baking soda that was mined as sodium bicarbonate and not as trona ore (which goes through a chemical process to become baking soda). This is a fairly broad overview of chocolate. I’ll start out by saying there’s a lot of poor quality chocolate on the market and chocolate that hasn’t been ethically sourced. Chocolate comes from cacao beans which are dried and fermented seeds that contain the two essential parts of chocolate: mass and butter. Beans that are roasted and processed are then called cocoa. The trees that produce the cacao bean grow in limited areas, which means all beans are imported to the United States. Look for Fair Trade chocolates. The difference in chocolates is based on the differing percentages of butter and mass. A brief explanation can be found here. I keep different kinds of chocolate on hand for different items. For eating, I prefer milk with the occasional dark chocolate mixed in. For baking, it’s all about the semi-sweet and bittersweet. 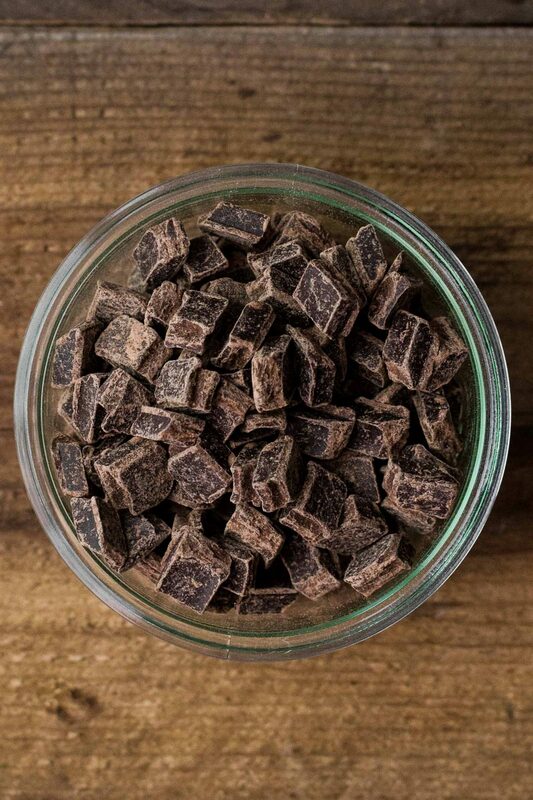 Store chocolate in an airtight container at room temperature away from high-flavor foods (like onions!). As mentioned above, roasted cocoa beans contain the two ingredients necessary to make the chocolate you find in stores: cocoa butter and the cocoa mass. If only the fatty cocoa butter is extracted, what you have left is the the cocoa mass which is then ground into the powder you buy at the store. 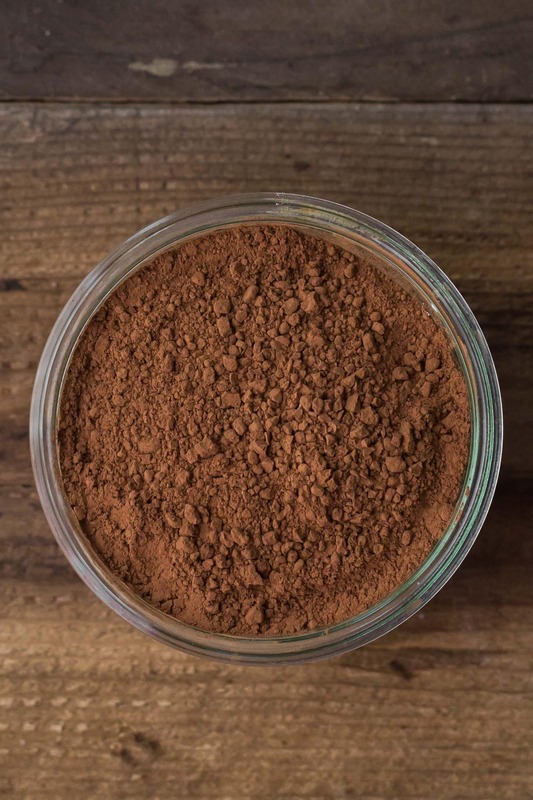 Cocoa powder can be sold naturally (non-alkalized) or Dutch-processed (alkalized). Natural is just that, natural and slightly acidic while the Dutch version is processed to create a smoother chocolate flavor and isn’t acidic. I typically use natural cocoa powder, with a one word of caution. Because of it’s acidity, natural cocoa powder can throw off the balance with recipes that use baking powder. I make a recipe keeping this in mind and still enjoy my baked goods with a slightly different texture than the original recipe intended. You can keep a small bag of both on hand, a benefit of buying from bulk bins. Cocoa powder doesn’t really go bad but I change out my supply once a year. While I categorize coconut flakes with baking, I use them for both sweet and savory recipes. I always buy unsweetened coconut flakes where the only ingredient is coconut. I use coconut flakes as an addition to muffins, cakes as well as toppings for grain bowls, curries, or tossed with popcorn. Most of the time I will toast the coconut flakes. Simple place them in a dry skillet over medium-low heat and swirl the skillet often until the coconut flakes have browned. 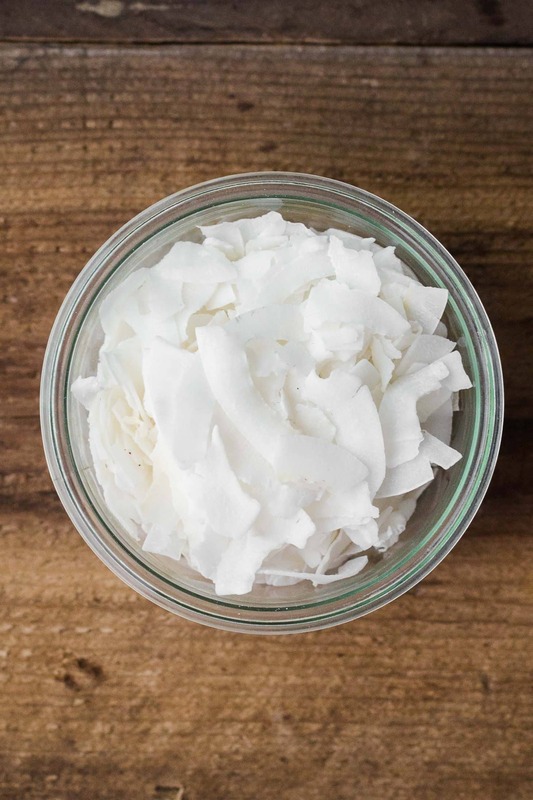 Store coconut flakes in the pantry for up to 4 months. After that, they tend to loose flavor. Before I dove into gluten-free baking, I only kept cornstarch on hand for the occasional pudding or sauce that would need thickening. Then, when I started working on baking with alternative flours, my collection of starches increased. Now you might find tapioca, arrowroot, or potato starch with the cornstarch. Tapioca, arrowroot, and potato are good substitutions for grain-based starches, like corn, and tend to be more subtle in flavor. My word of caution, using arrowroot in some items, like pudding or cheese sauce, where the recipe is cooked for any period of time and features dairy, will turn the item stretchy. Use caution in these recipes and stick with corn starch, potato starch, or flour for thickening. Store starches in a cool, dark area in an airtight container. As long as the starches are kept dry, they will last for years. If you plan on making almost any item on the bread/wrap page, you will most likely want to keep yeast on hand (unless you’re working with sour dough!). In terms of yeast, I’m not referring to nutritional yeast or brewers yeast but yeast used in baking. I keep dry yeast on hand for bread baking and pizza making. If you’re looking for an in-depth review of the different forms of baking yeast, I recommend reading through this article. I keep yeast in a jar in the freezer for extended use. When storing yeast in the freezer, it will last for months (usually past the expiration date). I like to use recipes that first dissolve the yeast in warm water to check if the yeast has gone bad before diving into the full recipe.